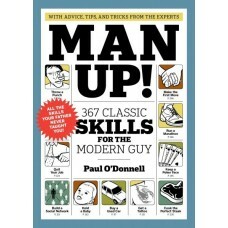 From career to relationships and grooming to gaming and more, the guys’ ultimate man-ual for living. For every guy too intimidated to ask a question for fear of seeming inexperienced and unworldly, here’s a book to answer all (or most!) of life’s pressing quandaries: How do you break off a friendship when it’s not working any longer? What should you cook when a date is coming over for dinner? How do you buy a used car and not get totally taken for a ride? How do you stop a charging dog? 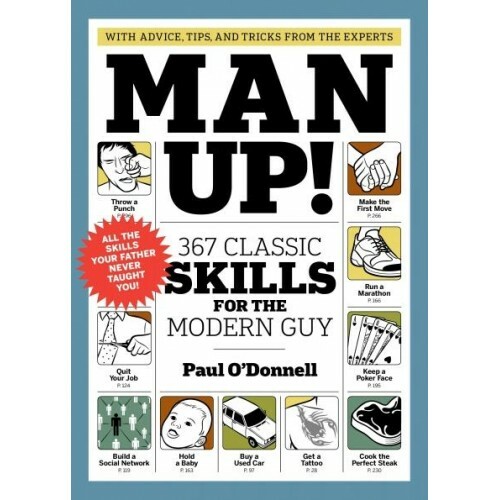 In Man Up!, journalist Paul O’Donnell and his team of knowledgable experts tackle 367 of these tough questions, imparting their advice in short to-the-point answers. Organized thematically, Man Up! is packed with essential advice delivered in prose that is as entertaining to read as it is helpful and clever. The tips run the gamut—from how to mix up a killer punch for a party to how to throw a punch when there is no other way out. Hip, engaging line drawings help to illustrate the advice, providing more than just sight gags. For every young man newly embarking on his independent adult life and for a guy at any age wanting to brush up on his skills, Man Up! is like having a trusted friend helping you along the way—except this friend has all the right answers!